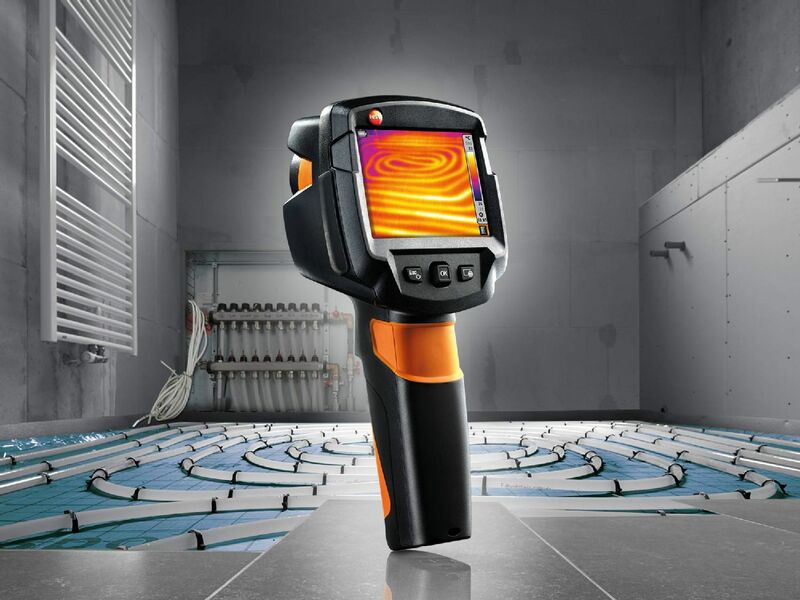 In building thermography a Testo thermal camera helps you to detect thermal bridges and structural defects. 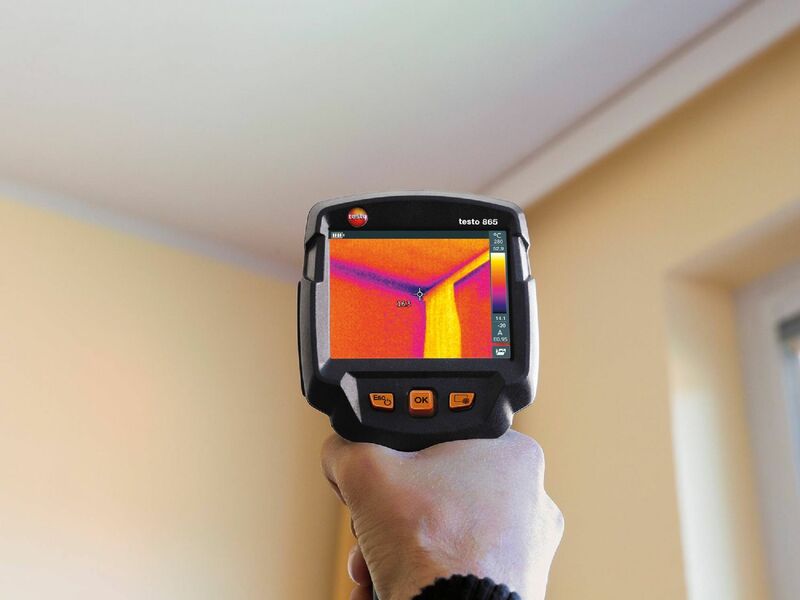 In heating engineering you can use thermography to check underfloor heating is working properly or for the non-destructive detection of leaks. 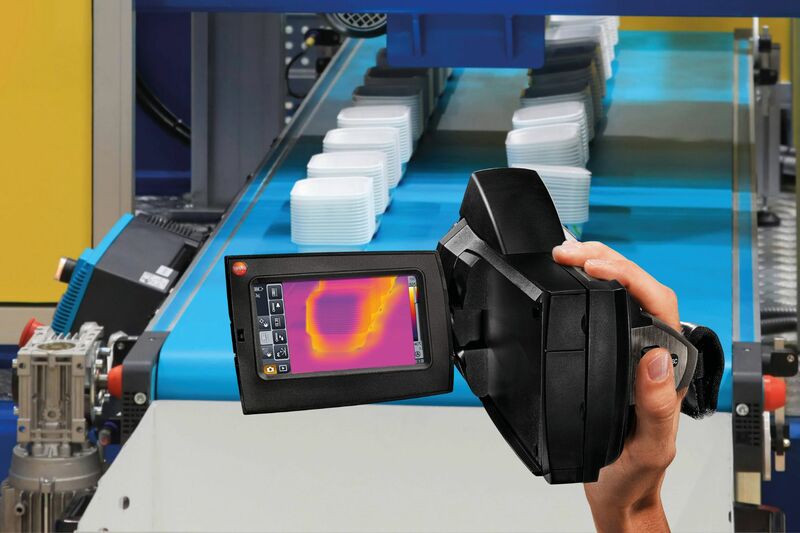 In maintenance a thermal camera enables you to see wear before systems fail. For those who get things done. Easy operation, robust construction and practical features. 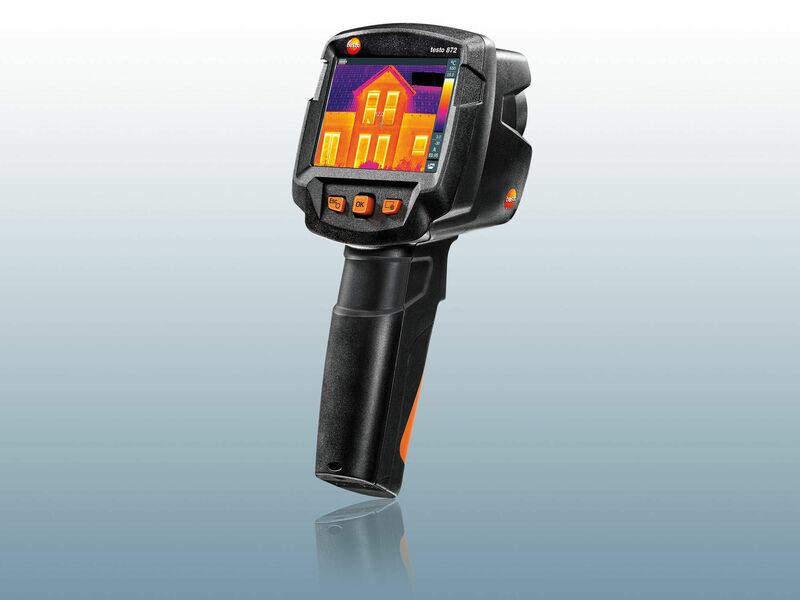 Ideal for examining buildings and lots more. 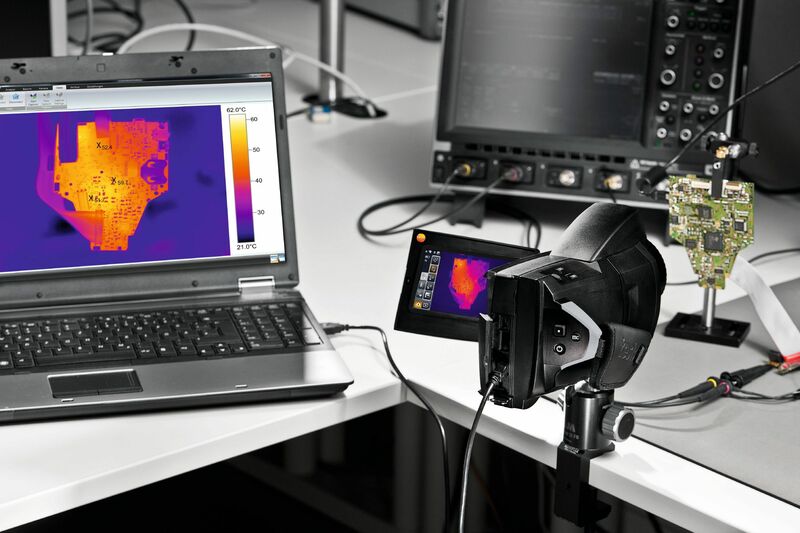 Visualize even the smallest temperature differences and have exchangeable lenses at your disposal. Ideal for maintenance and lots more. 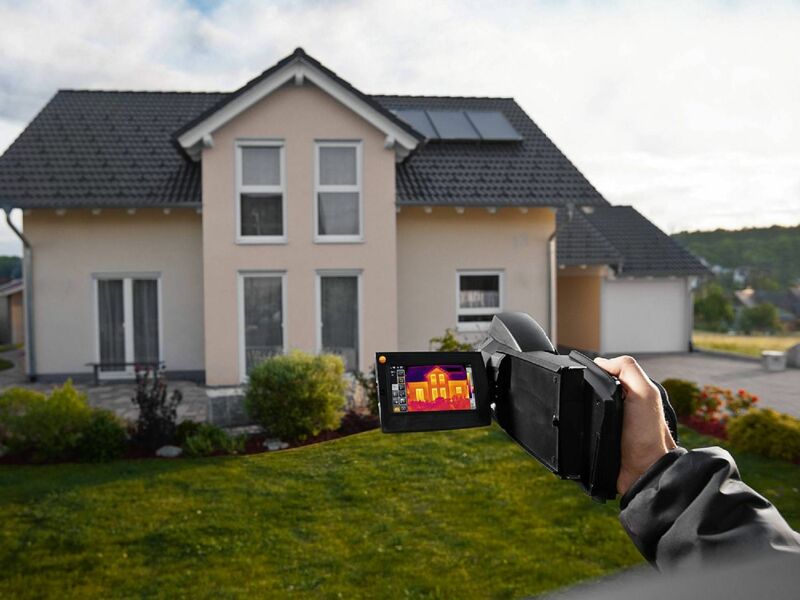 Razor-sharp thermal images in megapixel quality, thanks to really high infrared resolution for checking the smallest components. Ideal for research & development and lots more. Shows from what distance each object can be correctly measured. 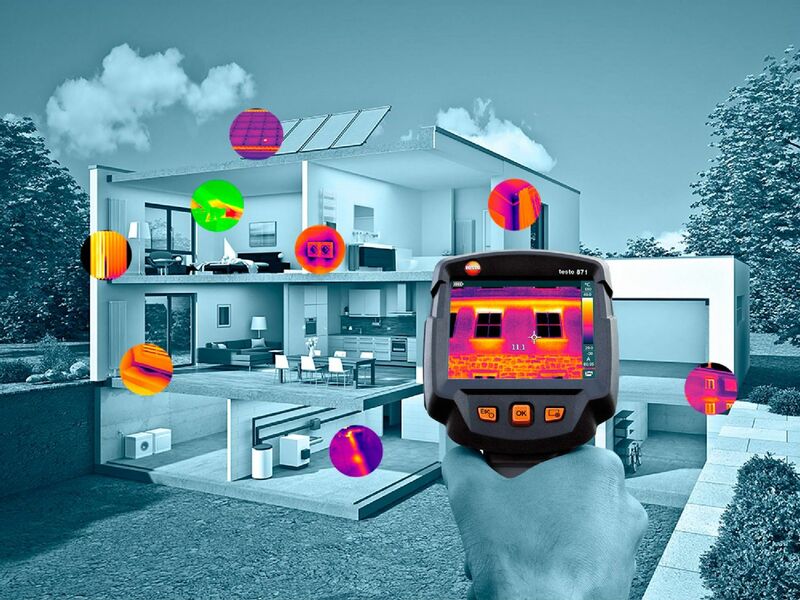 With the testo 872, there are no longer any thermal bridges, missing insulation or leaks in underfloor heating that remain undetected. Simply switch on, get going and know more. One look with the testo 872 and you can see whether your system is running efficiently or which faulty modules need to be replaced. That means your investment pays for itself faster and your photovoltaic system produces electricity efficiently. 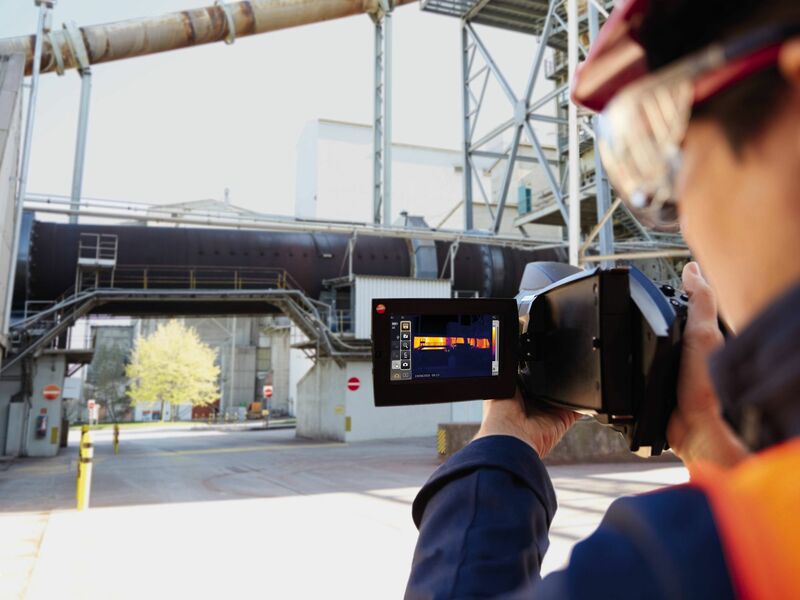 Depending on the application, you will still need more measuring instruments for efficient temperature measurement in addition to a thermal camera. We have put together a small selection of our bestsellers for you here. 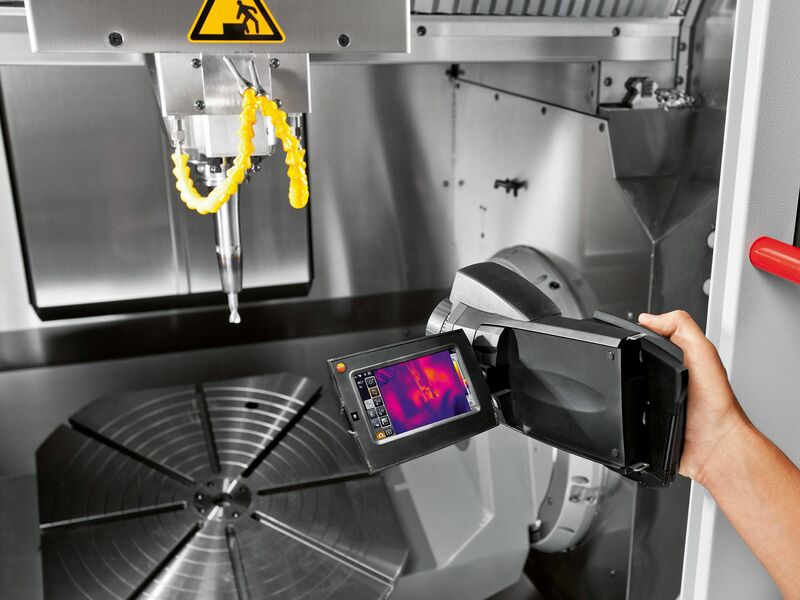 Smart Probes are compact professional measuring instruments operated by smartphone. They are available for the most important measurement parameters and will make your day-to-day work somewhat more pleasant. Immersion thermometers and penetration thermometers measure the temperature inside a measurement object. 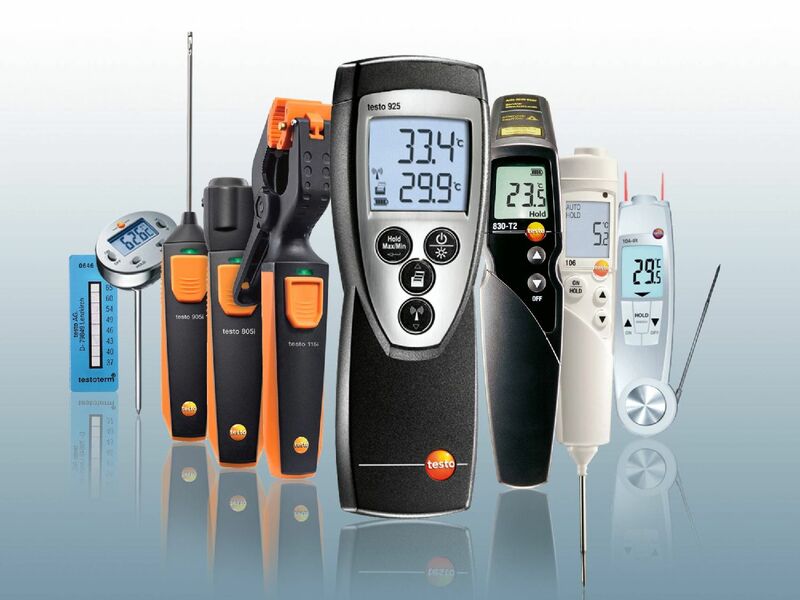 Ideal for core temperature measurements on food, amongst other things. As the name makes clear, a surface temperature meter is used to measure the temperature on the surface of a measurement object. This category also includes infrared thermometers. 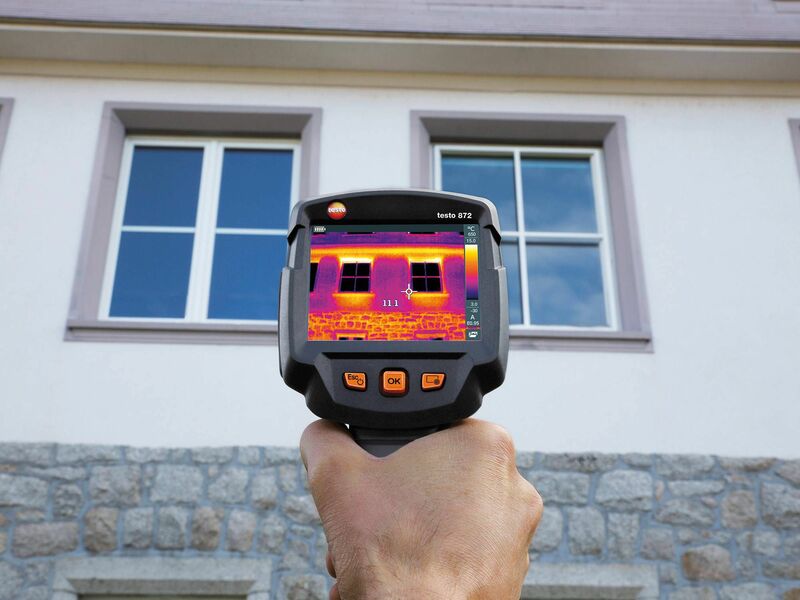 Just like an infrared thermal imager, they measure an object's thermal radiation. Temperature measuring strips on the other hand are used for fast measurement of the surface temperature in a really wide variety of applications. 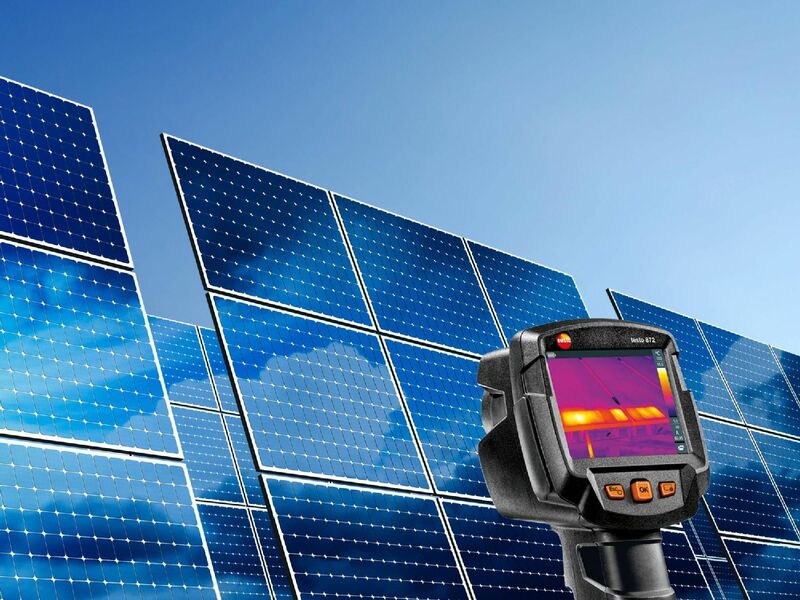 Temperature data loggers are used not only for measuring temperatures (and other measurement parameters), but also for monitoring and recording them over defined time periods.